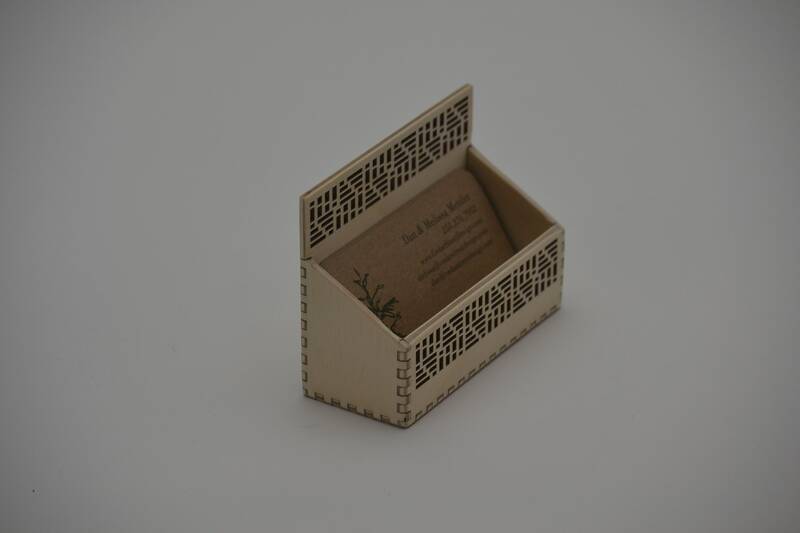 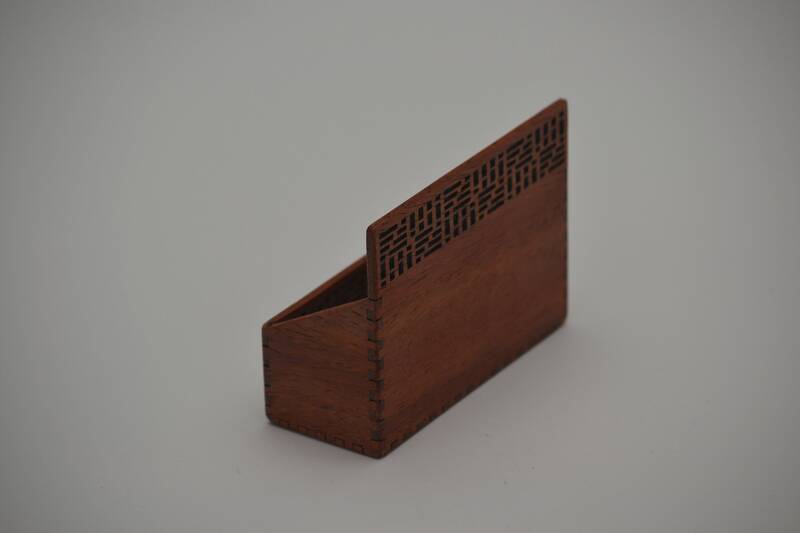 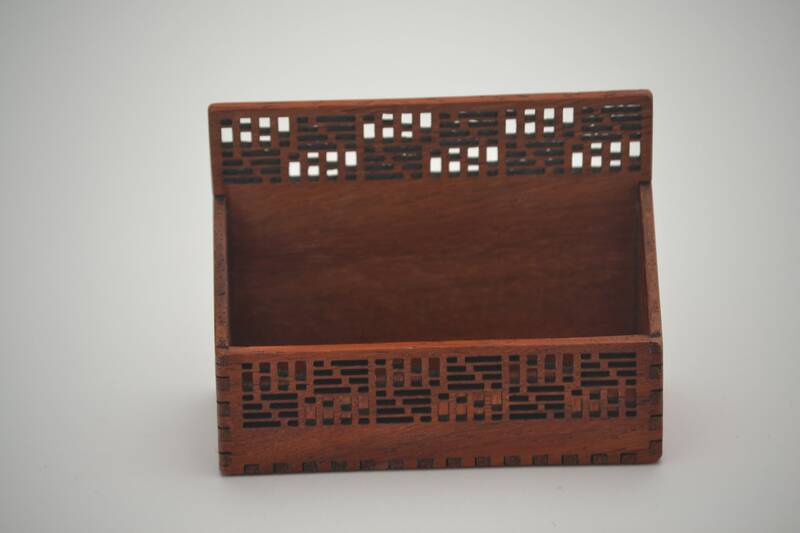 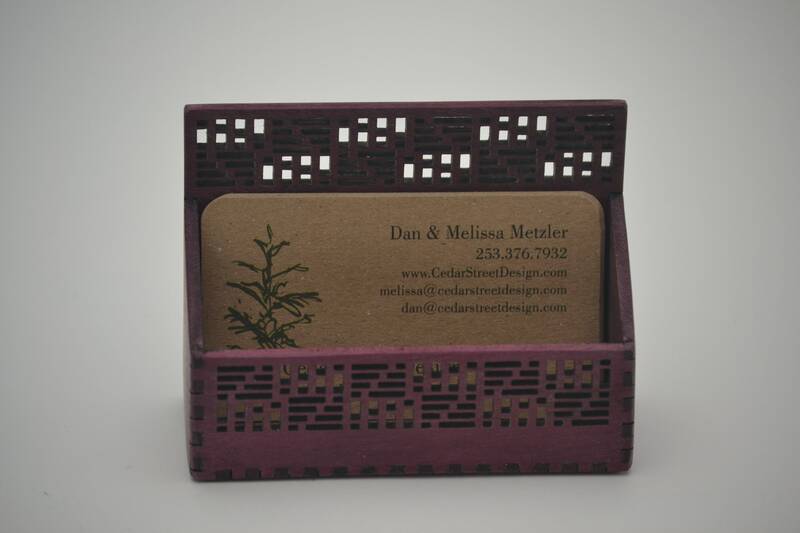 This beautifully finished business card holder has an abstract geometric design, with a mid-century modern vibe. 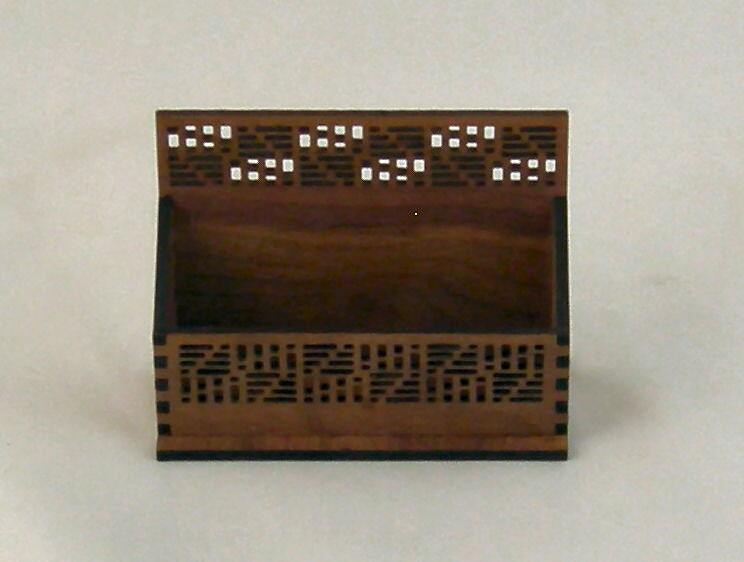 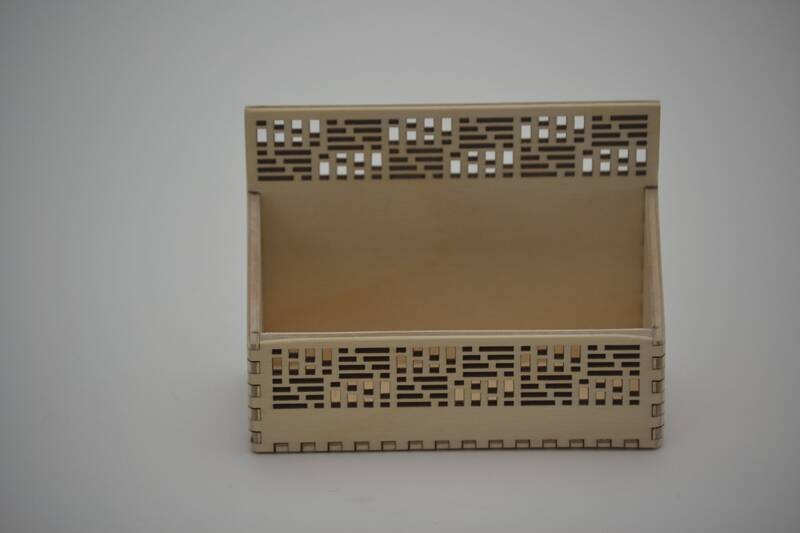 Laser cut, hand assembled, with a hand polished bees wax finish. 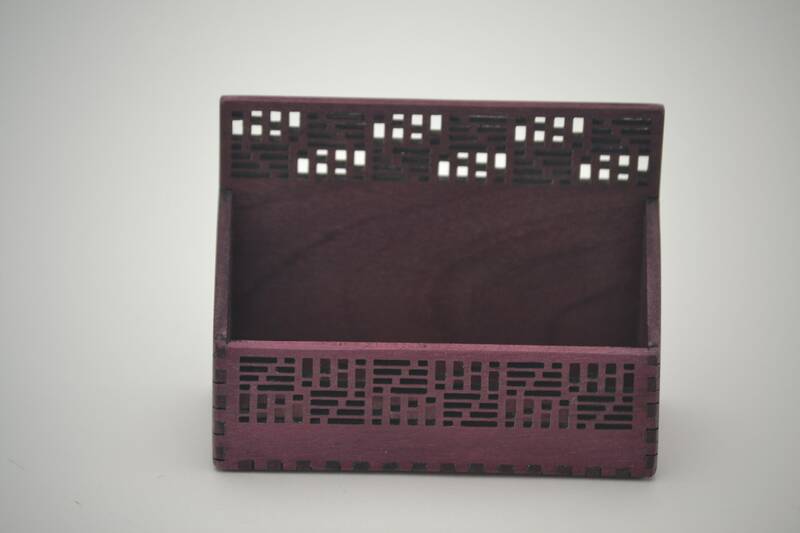 Measures 3 7/8" w x 1 7/8" d x 3 7/8" tall. 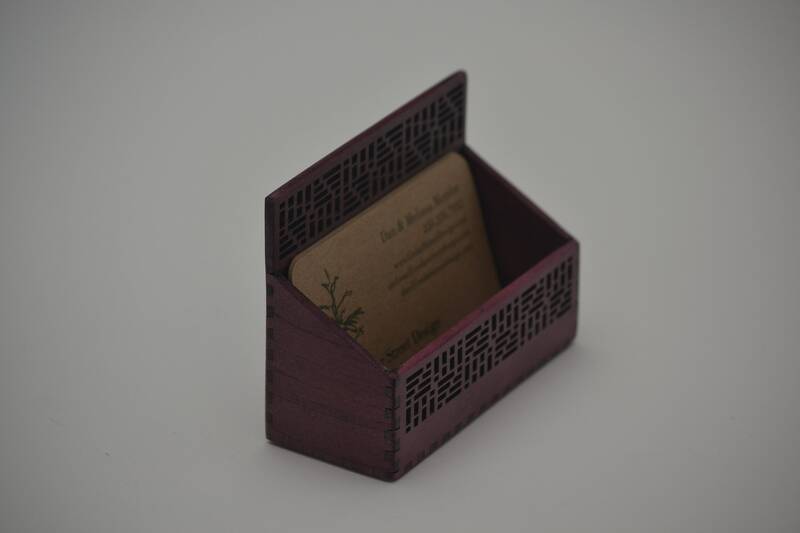 Wood grain and color may very slightly from photo.